Located between the states of Nayarit and Jalisco, Bahía de Banderas is the largest bay in Mexico and is the most frequently visited by savvy travelers. To fulfill the needs and demands of the increased tourism, the bay has everything you need – from its lush green nature, transport network, hotel accommodation and other amenities. Puerto Vallarta has a rich variety of flora, fauna and remarkable yet attractive natural spaces. You can find many fun-filled activities and exquisite attractions to enjoy while on board your own Puerto Vallarta private charter. THE ARCHES AT MISMALOYA – The Arches are a rocky formation that stands out of the water in front of the Mismaloya cove. During this great activity, you can enjoy the wide variety of marine life at the Mismaloya Arches while enjoying scuba diving and snorkeling. You can also swim by the islets or enter the natural tunnel of the main rock to have an amazing experience worthy of sharing with friends and family. The Arches are also a beautiful wildlife sanctuary where you can come across many wildlife species. VALLARTA BOTANICAL GARDENS – This is a marvel worth discovering. The botanical gardens of Puerto Vallarta house a great collection of plants as well as other exotic species that are endemic to the region. The gardens feature hiking trails both through the native forest and the manicured garden grounds. Bird watchers will find the most birding activity early in the morning or later in the day. The botanical gardens also focus on preserving species of orchids – famous for their splendor. CONCHAS CHINAS BEACH – Conchas Chinas Beach is one of the most spectacular sites to host weddings or spend time with your significant other. The golden sand, pristine waters and brilliantly displayed rock formations of Playa Conchas Chinas create the ideal site for a romantic day at the beach. Canoodle with your lover in one of the natural pools that form among the rock formations. Take a leisurely walk hand in hand and explore many facets of the beach or simply lounge on a blanket and enjoy the warmth of the sun. EL EDEN – El Eden is located 180 meters above sea level in the exuberant green jungle of the Sierra Cuale. The spectacular location is full of fun and adventure filled activities that can be enjoyed in the waters of the river or above the treetops and valley. This is one of the more popular natural attractions in Puerto Vallarta, and the location is very lush, green and refreshing. You can also enjoy sliding down the small waterfalls. Do not miss out on gliding over the treetops where the movie “Predator” was filmed. PLAYA CABALLO – Located on the south coast of the Bay, Playa Caballo (Horse Beach) is a beautiful spot by the ocean. Playa Caballo is an almost virgin beach located south of Puerto Vallarta between Playa Madagascar and Las Ánimas. 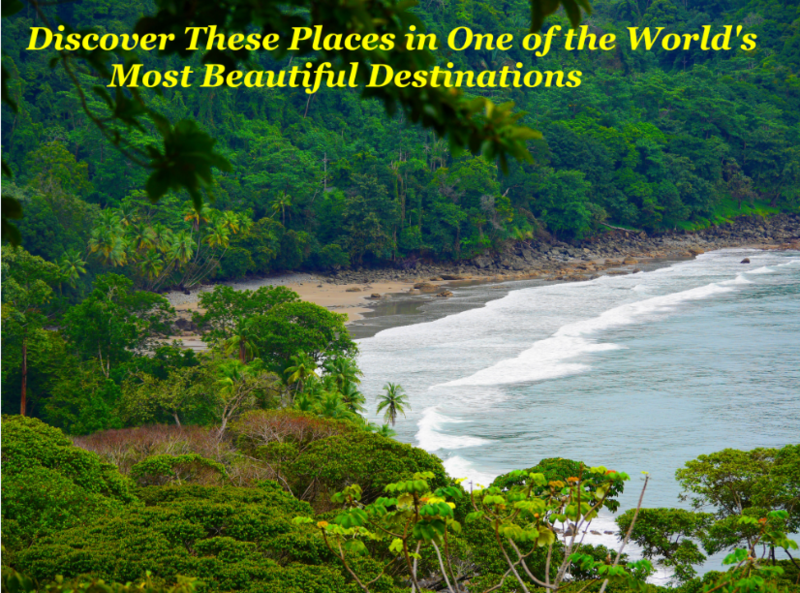 It is surrounded by dense lush green tropical jungle. The beach is considered ideal for snorkeling, swimming, sunbathing while enjoying the surrounding beauty. While here, enjoy the gentle waves as they strike the shore and relax while you make acquaintance with the sea and nature. PLAYA LOS MUERTOS – Playa Los Muertos is the most popular and the most frequently visited beach in Puerto Vallarta. Located in the romantic zone, the beach is very popular amongst families, the locals, and the savvy travelers. It is here that you can enjoy the local culture and pay an ear to the enthralling tales shared by the locals. It's lively, full of traditions and a great place to drink a beer while taking in the panoramic views of the setting sun. The perfect place to witness the amalgamation of the old, new, traditional and modern. Puerto Vallarta can be visited and explored throughout the year. Puerto Vallarta private charters can make suitable arrangements to take you to many of the beautiful spots it has in store for you along with taking in some of the adventurous activities.